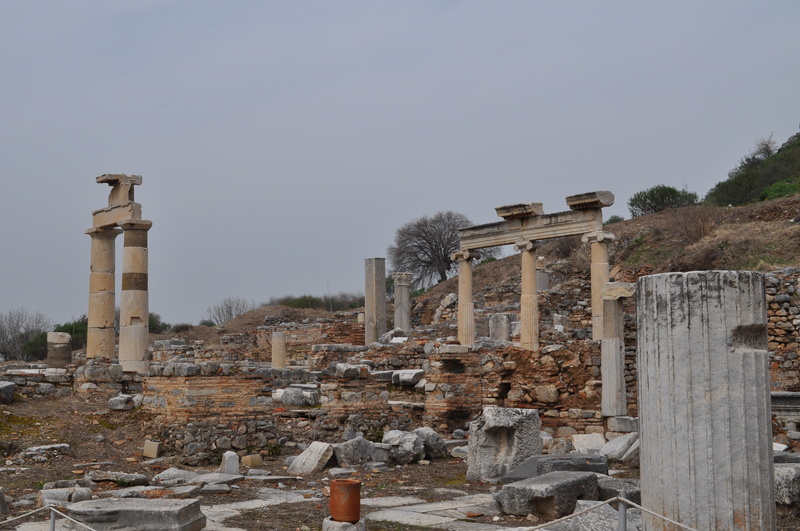 We hired a tour guide to tour Ephesus for the day. This required us to fly from Istanbul to Izmir. This was a short hour flight on Pegasus Airlines. Our guide also flew from Istanbul so we were able to chat with him at the airport. 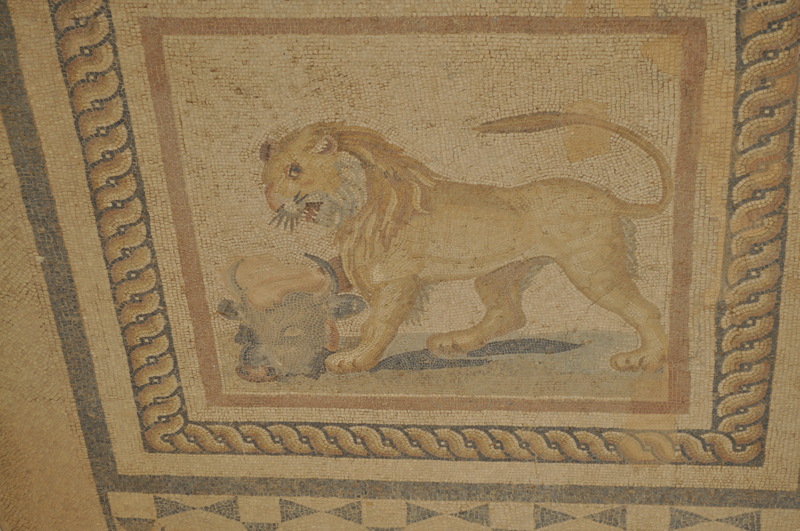 Once we got to Izmir, he had hired a driver to take us the hour drive toward Ephesus. Our first stop was the House of Virgin Mary. 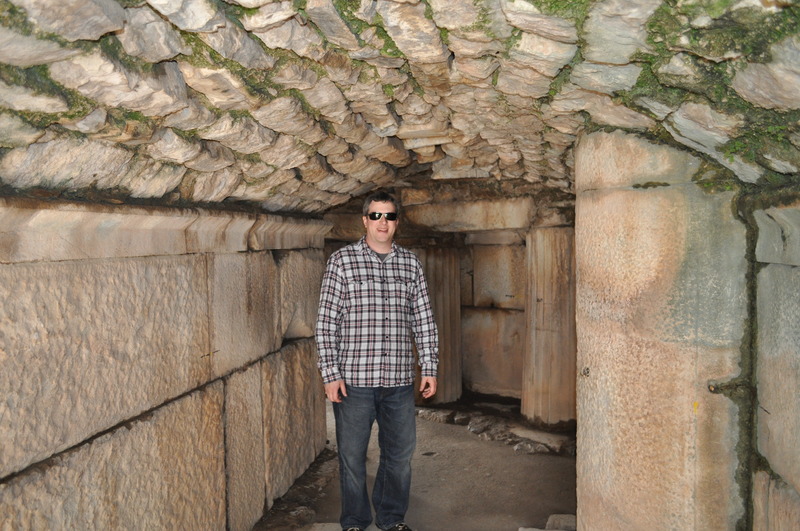 This tourist attraction is way up in the hill/mountain near Ephesus. It makes you wonder exactly how they were able to construct a house in such terrain. The house was modest but fairly interesting. We took a few pictures of the outside area and Kat lit a candle as a prayer/tribute and we were off to see the ruins of Ephesus. 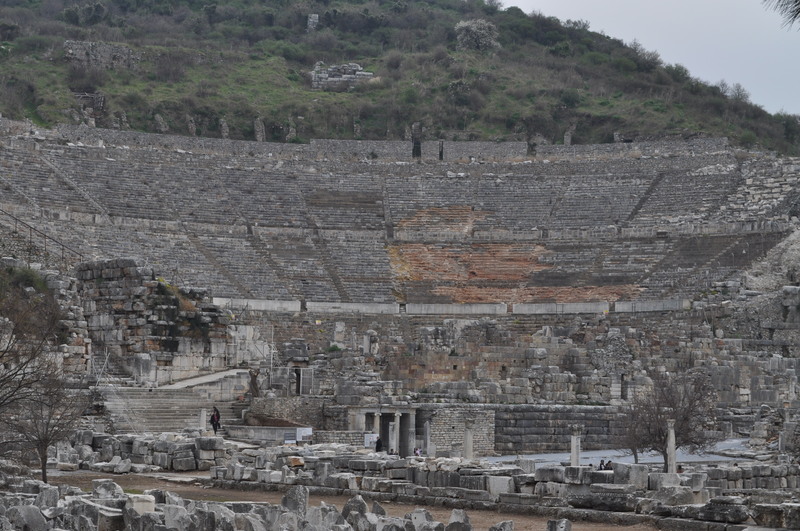 The next few hours we spent touring the ruins at Ephesus including the Terrace Houses, Library of Celsus, and amphitheatre. If you ever get a chance to see this place I feel it is well worth it. I wish we could have spent a little bit longer but we only had a few hours time to check it out. 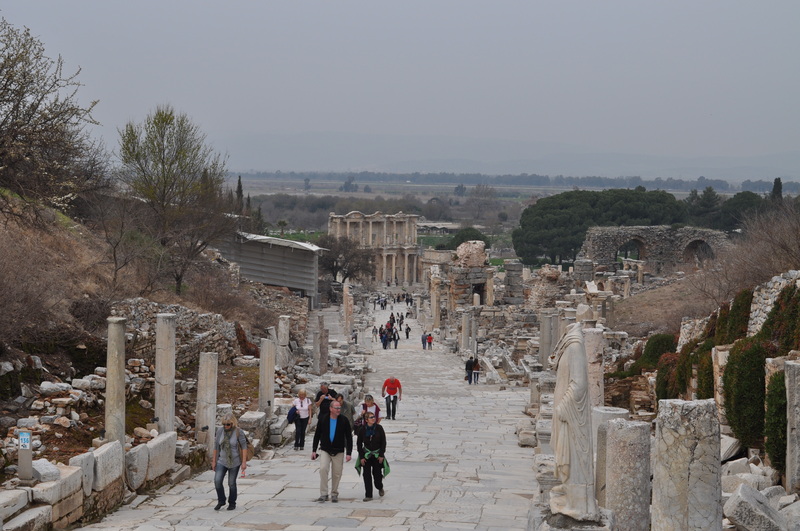 Walking down the street path toward the Library of Celsus is majestic. You feel you are literally stepping back into time. 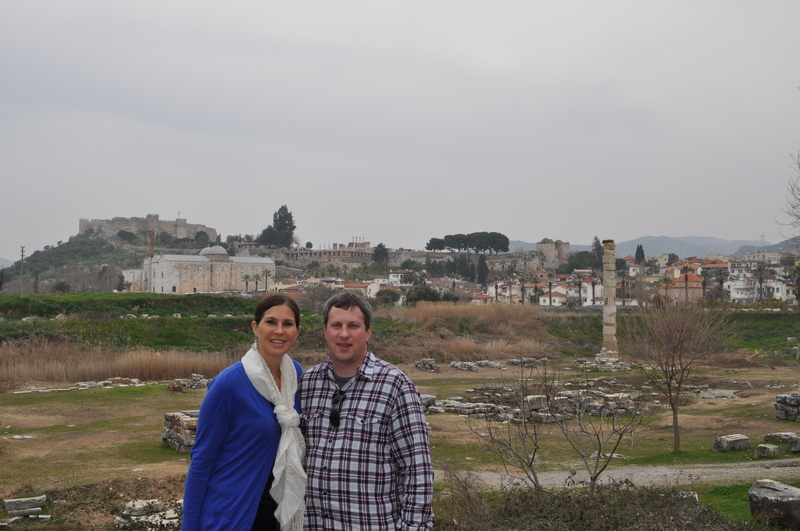 Our guide took us to the Temple Of Artemis, one of the seven ancient wonders of the world. There is only a column remaining. A few pictures were taken and we were off to see how they make the Turkish rugs. We had lunch at a government funded place where they teach girls how to make the rugs. It was quite interesting to see how intricate the process is. The lunch was actually very good and only 10 Lira if I remember correctly. Our next stop was at a tile making shop where they demonstrated how to make the tiles. 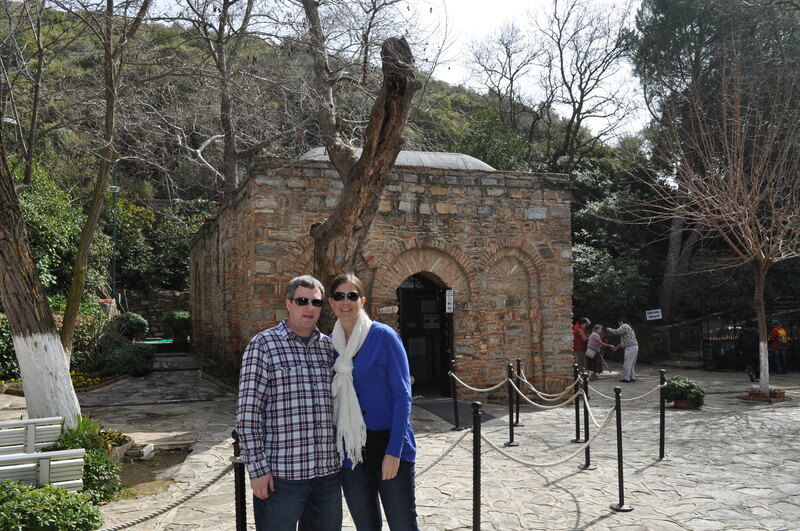 Finally, we stopped at the Ephesus mosque before we headed back to the airport for our flight back to Istanbul. 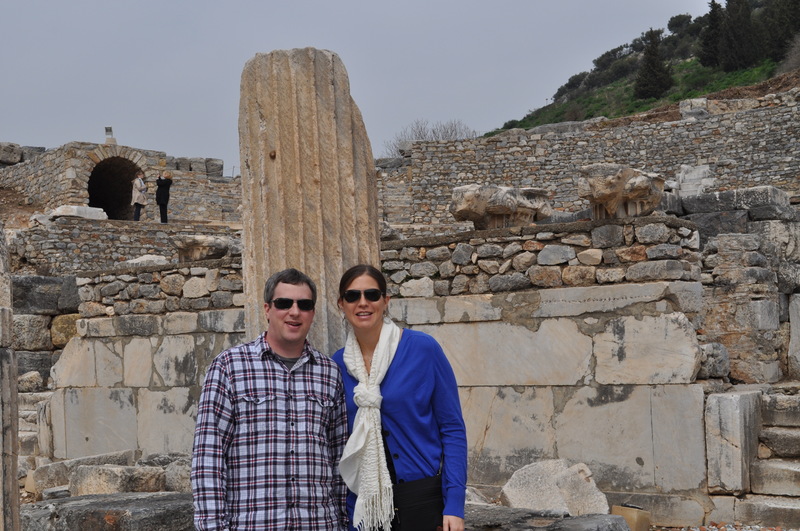 Overall it was a great day trip and I highly recommend touring Ephesus. 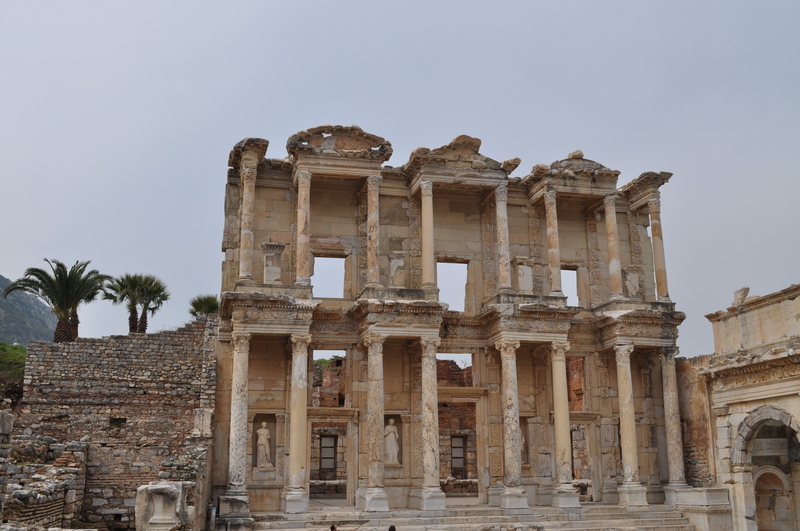 The ancient ruins were fantastic and the weather was warmer than what had been in Istanbul.